Iced Tea is perhaps a perennial all American drink. Yet, it is these dog days of summer, when fireworks grace the skies and fireflies flutter the fields eve that most reminisce of Iced Tea. The origin of this sacred Americana is shrouded in myth, but here I shall retell the tale. Back in the old days, before cell phones and video games, when people used to go to fairs and have affairs, there was a man named Richard Blechynden. He was that most sacrosanct of all American ideals, an entrepreneur. Now he was working the tea booth for the Indian Tea Company at the worlds fair in 1904. If you remember that summer it was scorching hot, and people were all agog over global warming , the effect of the automobile on society, and the dour nature of politics and the Republican party at the time. It was so hot in fact that not one man, woman, or child was willing to drink that hot tea Richard was purveying. Richard hat set up his booth right next to an ice vendor it so happened. As the sweltering sweat beaded down his eyebrows and he thought of the cool ice, and idea of genius popped into his head. What if he ran that hot tea over ice. Into a glass with ice in it. Added sugar to the ice and tea. What if he called this concoction iced tea. Yes, my dear friends, those were his very thoughts and that is what he did. The next morning his sign read, “Behold, the best iced tea in the world, for your pleasure.” And from then on his line was seven fold. Men, woman, and children clambered one after another for the delicious drink he had “invented”. Hence the story of ice tea has been spun. The truth is ice tea can be found in recipes for decades before Richard, but this is how it took off and became all American. We here at Planet Teas know that modern Americans and citizins of the world are far more sophisticated than those who lived in the Old Fashioned. For this reason we not only recommend you make iced tea with our Humboldt Breakfast blend for a brisk flavor, but suggest you try out several other blends. 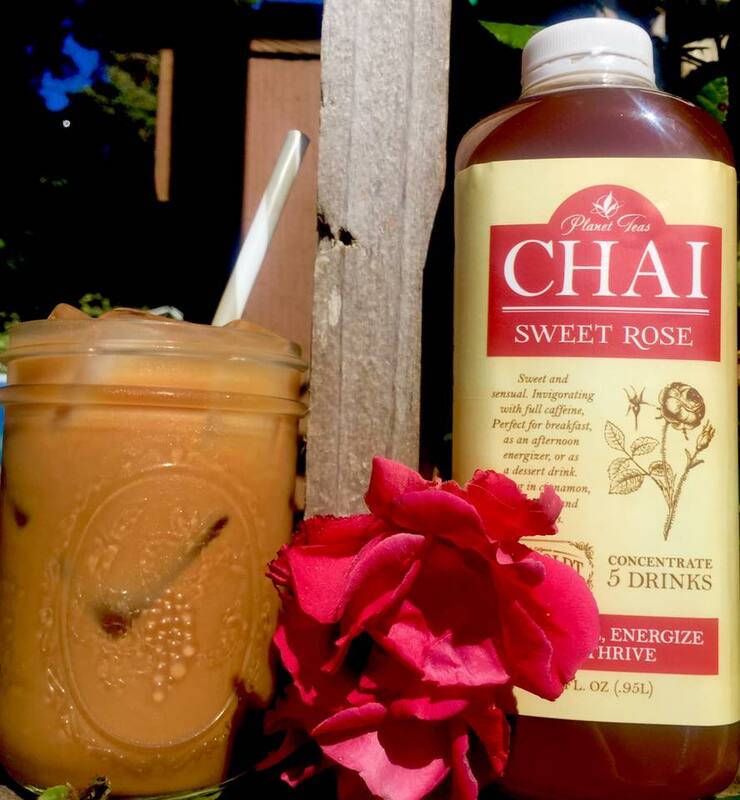 Iced Sweet Rose Chai or Spicy Chai. Iced Thai Chai or perhaps Iced Moonstone Rooibos Chai. Try Iced Trinity Green tea with a twist of lemon. Enjoy with pleasure and leisure your summer.